﻿ Udayakumar Nalinasekaren - Portfolio Article - What Do I Think Of Strategy? Home / Blogs / What Do I Think Of Strategy? How can you see the future, if at present your chosen mind is living in the past? What Do I Think Of Strategy? Each type of change requires resources to execute actions required to realize the change. It matters if the resources (human or otherwise) are in the leader's circle of concern or circle of influence. Strategy is all about these resources. It is a very commonly used word in business. It also happens to be a very commonly misunderstood, misrepresented and misused word. In my work life, I have struggled with this word for years before even scratching the surface of what it really meant. I do have a few thoughts now on strategy and its execution. However, before I embarked on sharing those, I thought I must write about my understanding of what is 'strategy'. 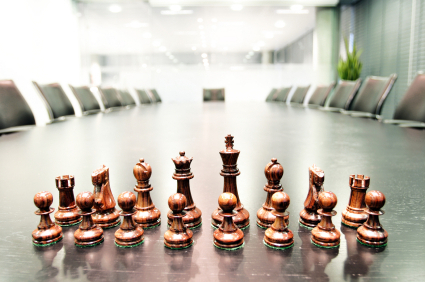 The word strategy has it's roots in military planning and operations. In short, strategy is the art of the General. It is all about a high level deployment plan of his/her resources viz-a-viz enemy resources. If we think that resources mean just people and physical stuff, we are throughly mistaken. Even emotional intelligence, choice of words, and feelings/desires, sight or lack of it, vision, etc., could be powerful resources when crafting strategy. Strategy is a calculated choice of what (of an available set of) resources are to be deployed for maximum impact. The how part of the resource plan belongs to Tactics. One of my very experienced colleagues said "Strategy has no if-then-else statements" and that was a very interesting observation. My experience says that a well crafted strategic plan should have depth and accuracy. How do we acheive that? It is important to understand strengths and weaknesses.. i.e., precise details resources we have and don't have. It is equally important to understand the same about the opponents in the play. If we focus too much on the opponents resources in our strategy, we will most likely come up with an overly defensive approach. On the other hand if we play only based on our strengths, we will most likely come up with a blindly offensive approach. Balance in approach is important. Identifying and choosing favorable conditions for execution (a.k.a opportunities) and mitigating our blindside (a.k.a threats) are equally important. If such depth is missing, the strategy will not work. Also, a strategy that wears out resources quickly will not endure. How do I fasttrack myself as a leader?